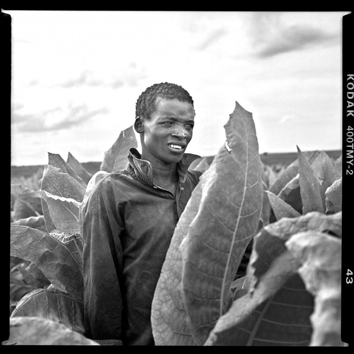 Sarah Hazlegrove: Tobacco People documents an intensive four year international journey that sent one of the region's foremost photographers around the world documenting the changing faces of individuals and communities engaged in the rapidly disappearing world of tobacco cultivation. Shot entirely on location without the aid of specialized equipment or postproduction digital effects, Hazlegrove’s dramatic and moving images combine elements of the formal portraiture of Richard Avedon with the journalistic style of photo documentary legends Walker Evans and Robert Frank. From sweeping landscapes to captivating glimpses of everyday commerce and intimate portraits, Hazlegrove investigates, captures, and celebrates the differences and universalities of peoples engaged in and societies built around centuries old customs and practices surrounding the lifecycle of tobacco. 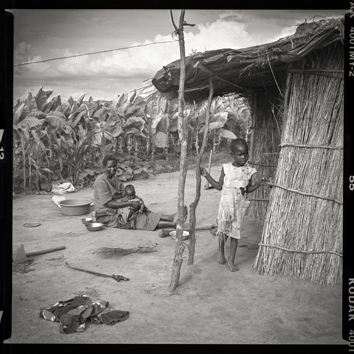 While the exhibition introduces and explores the daily lives of people in Malawi, Africa, Indonesia, Brazil and Cuba, the project had its inception almost twenty years ago outside of Farmville, Virginia. Reacting to the tragic loss of her sister and wishing to expand upon the more commercial based photography with which she made her living, Hazlegrove began recording the people, livestock, machinery, and landscape of her family's Southside Virginia dairy and tobacco farm. As she went about the documentation, Hazlegrove realized that what had begun as a personal project about a family and its history with tobacco raised larger issues about extended families, continuation of community, state and national history, and the ending of a way of life that had existed and thrived for almost four centuries. These initial photos led to trips across the tobacco regions of the United States and eventually around the world in a continuing project that has grown to include traditional photographs, projected photo essays, videos, and installation pieces presented for the first time at the Taubman Museum of Art. Three other Roanoke-based institutions: the Harrison Museum of African American Culture, the O. Winston Link Museum, and Center in the Square will also be presenting selected elements of Hazlegrove’s project, Tobacco People, in collaboration with the Taubman Museum of Art. Sarah Hazlegrove is a fine art and commercial photographer who lives in France and Roanoke, Virginia. She graduated Phi Beta Kappa from Hollins University, with a double major in French and Philosophy. Her work has been included in museums nationally and she had a solo exhibition at Roanoke College Olin Hall Galleries in 2009. Her three part book series documenting tobacco production in Indonesia, Malawi and Brazil is available for purchase online at: www.tobacco-people.com. Sarah Hazlegrove: Tobacco People is curated by Brian Sieveking, Adjunct Curator of Folk and Outsider Art and will be on view in the Taubman Museum of Art’s David R. and Susan S. Goode Gallery, the Optical Cable Corporation Gallery and the Media Lab from October 10, 2015 through March 27, 2016.